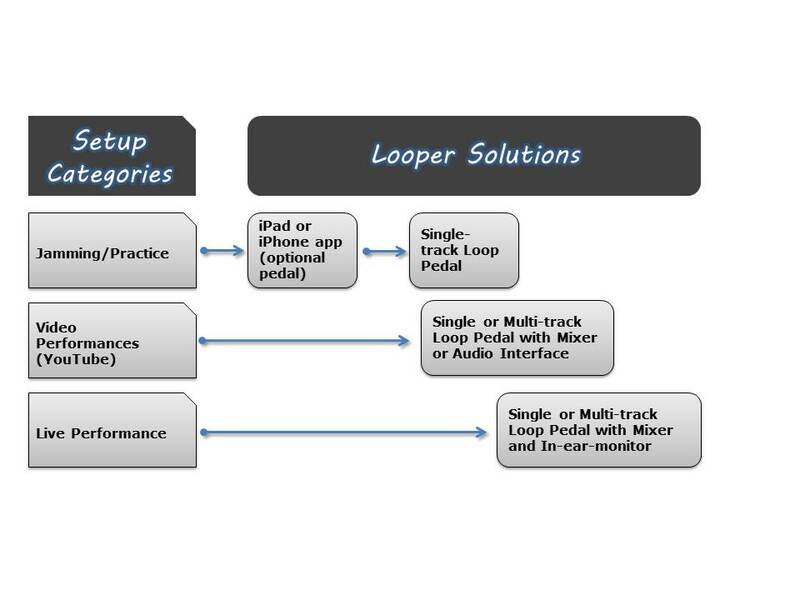 There are many variations of looper setups. These are the basic setups that correlate to the planned use. For details and block diagrams please use the links above.